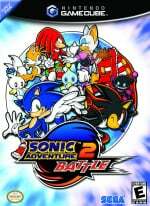 While a remake would be nice, if it doesn't go ahead, perhaps there's still a chance the Switch will receive the original versions of Sonic Adventure and Sonic Adventure 2. Prior to the 2018 Tokyo Game Show, Sega ran a poll asking fans what games they would like to see adapted to the Sega AGES line. Out of 30 games in total, Sonic Adventure 1 and 2 placed 18th on the list. The last time these games were seen on a Nintendo platform was during the GameCube era. Would you like to see a remake of Sonic Adventure? How about the original versions of Sonic Adventure 1 and 2 on Switch? Tell us below. I'm down for that. I love playing the game as Sonic, but I can't deny how incredibly rough SA is. Also it'd be lovely having it on Switch. I can understand that. He's not wrong - it really does have some rough edges (just watch the Game Grumps play through or Sonic Adventure DX on the Gamecube for some hilarious examples I.E: "I'M UP HERE NOW!!" and "How do people defend this?!? ), and it would also be an excellent opportunity to let a younger development team learn design strategies from the 'golden age' of games. Predictably, the comments section is going to turn into "hur dur 3D Sonic was never good" in some form or fashion, I can guarantee that. But the Adventure gameplay from Sonic Adventure to Sonic Heroes was always super solid and had a pretty good foundation. Nowadays, games like Mario 64 can be a bit buggy and rough by today's standards, and have received some improvements to game feel and such with Odyssey and the like. I think it's finally time to rethink Sonic in 3D by going back to basics and really going back to the Adventure gameplay and seeing what worked and what didn't work. Why did people not like certain stuff like Adventure 1's Sky Deck or Adventure 2's Crazy Gadget? Why are levels like Speed Highway or Green Forest loved? Etc. They absolutely need to take the RIGHT notes and not just "oh they like it because NOSTALGIA" which has been a problem festering since Sonic 4. As long as we get a new version of Tails theme I'm in. His story was my fav part. I wish it would just wither away for good! Edit: Sonic Mania was rather good but that was a fan made project. As long as the Chao Garden is back, I’m cool with it. YES. Do it. Make the Sonic Adventure Remaster. I’ve beaten this a long time ago as a teen and recently rewatched a play through of this the other day. The voice acting is hilariously bad and is ranked up there with Resident Evil 1/Directors Cut on the PS1 lol. The two Adventure games are the best Sonic games ever made, so of course they should get on Switch! Way past cool! Sonic Adventure DX and Sonic Adventure 2 Battle are the peak of 3D Sonic, by far. I wouldn't mind a third! @VHSGLITCH Wait, Chrischan hasn't already withered away for good? How? This is the new SA3 which he has been saying he wants to make for around 10 years now, if he talks about something he wants to do it’s probably not happening. Yes a remake of both Sonic Adventure 1 & 2 would be awesome for Switch. Make it happen Sega and help us wash away those Sonic Forces memories. @ReaderRagfihs he refuses to go away. He still pops up every so often. He’s in on the joke too; real narcissistic goon I might add. Btw- love your Segata Sanshiro gif/profile pic. Keep Adventure fields but make both then and Action fields bigger. Add metal Sonic somehow. Keep the music! Big the Cat: Remastered. All in! I would be up for that but I’m not sure of the current Sonic Team’s ability to pull it off. They’ve taken the franchise in so many directions since then and I wonder if it would meet my expectations. Honestly, I still can’t finish SA1 even though I adore SA2. Certain... feline characters’ stages make me want to jump off a cliff. I believe it is worth a shot. I enjoyed SA2 when I first played it, but to me, it was all one big minigame in order to earn items for your chaos. I was never that great at the Tails/Robotnic stages, and thats honestly enough to keep me from wanting to play a remake. But I admit, the Chao garden is tempting. @GrooveManyula I think a remake would be better. A Crash Nsane Trilogy style remake of it and SA2 would be perfect. The games are rough around the edges and I think need a better future representation than the current ports. Modern graphics, the many glitches fixed, voice acting that actually fits the mouth movements, reworked dub script, make Big the Cat's stages more accessible, bundle it with SA2 Remake and you have a hot seller there. This needs to happen more than a Sonic Adventure 3. The games have their good moments but their bad parts stick out like a sore thumb to aging and modern gamers. This duo of games need to evolve before even considering a 3rd game. @Wasp Why yes. That could would do too. @Angelic_Lapras_King Hmmm... SA1 And SA2 remade with both their best elements put in? That could work very well actually, plus include a few bonus missions with some of the SA2 Multiplayer characters, And Improve on the gameplay to the point they could actually make Big the Cat and Amy's segments actually good? Now that's a feat i can get behind. I bought a GameCube to play this game. I play video games because of this game. I still play this game now and then but Sonic Heroes is currently king to me. The added complexity to the levels makes it very satisfying to score an A rank. Still though I consider unlocking Metal Sonic in DX one of my greatest gaming accomplishments, that and probably unlocking Lyon in Fire Emblem 8.
remake? cool but could they really mess this up if it came to be, hope not. Just 2D sprite Sonics from now on please. Thank you. Yes. I want a remake of Sonic Adventure 1 and 2 for PlayStation 4, Xbox one and PC. I wouldn’t mind the switch. @Angelic_Lapras_King I’ve been asking for this for awhile now. I would buy that in a heartbeat! Though... I suppose fishing in video games isn’t always bad, Zelda managed to grasp it, I suppose it’s salvageable. It’s just hard for me to imagine a world in which that isn’t the true annoyance of beating Sonic Adventure! @EvilLucario - I think one of the major issues plaguing 3D Sonic is that there is good elements in every single one, but often butchered by a more apparent worsening elements. The latter tend to stick out sorely when reflecting back. The things I remember from SA was Chao Garden (good) and the horrid controls (baaaaad). I'm not in the camp that believes Sonic games need to be 2D to be good, but why remake Sonic Adventure instead of just making a new 3D Sonic Adventure game? I already played Sonic Adventure, I like it well enough, but I don't need to play it again. @Paraka Tbh 3D Sonic has many problems, but control was never one of those problems until Shadow the Hedgehog. Adventure 1/2 and Heroes all controlled very well and especially Adventure 1/2 really showed how they could take the 2D game physics and translate them to 3D. It was jank and especially feels extremely jank now, but all 3D games back then had jank so it's forgivable. @EvilLucario the real problem with 3D Sonic has always been that people want them to play like the 2D ones... but in 3D. The reason the aforementioned 3D games weren’t horrible is they focused on exploration over speed... and most of the criticisms come from fans who like the series for the action. In terms of Adventure games, they weren’t so bad (though for me they centered around the Chao Gardens)... the problem with most Sonics after Heroes was they tried to capture the high speed of the 2D games and it doesn’t translate as well into a 3D space. The only two viable ways to do it is 2.5D (which isn’t even 3D, it’s still a 2D side scroller but with 3D models) or the titles where the camera is behind you and you just run forward, moving side to side (which isn’t very immersive). Basically... the earlier Sonic games worked, but were rejected because they didn’t capture the original feeling of Sonic. Accepting that 3D Sonic works better in a different style of gameplay probably would help the series. Alternating between 2D games and 3D games would, in my opinion, be the best solution... just keep them separate. The biggest problems come from when they try to blend the action parts of Sonic with the Adventure parts. I really think a remastered version of the Adventure games, with shinier graphics and less glitches and some improvements (like Big’s sections heavily revamped), it would be better than people think. @EvilLucario yeah, I’d say the controls were fine, what screwed it up was the camera. When the camera doesn’t cooperate, the controls don’t translate smoothly. Also Shadow the Hedgehog never happened, we don’t speak of that. @ShadJV I find that hard to believe since honestly the Adventure games + Heroes could all go pretty damn fast too. Stages like Final Rush, Speed Highway, and Egg Fleet especially show that off wonderfully. But even then what makes Sonic tick is not simply the fast speed, but being able to keep up a good momentum while going as fast as possible. It's what Sonic far superior to Tails and Knuckles in the 2D games despite seemingly lacking options compared to them, because Tails and Knuckles' special abilities completely destroy any momentum to just slowly advance. Meanwhile, Sonic can utilize elemental shields to blitz through the levels faster, and in Mania can Drop Dash for even quicker maneuvers. Every single Sonic game, even the bad/average ones, are best played when you can go as fast as possible while maintaining that sense of flow and momentum. Pure speed like Unleashed and Generations are still fantastic games, but they still focus on maintaining that sense of keeping the momentum. Still though, then you have Forces where keeping that momentum is so much easier due to bland level designs, therefore not making it as engaging or fun. In short, it's not about the speed (because I'd argue that's still very well kept), but in a lot of other problems like padding out game time (Werehog, fishing, treasure hunting, etc) or just a lot of jank/glitches or simply the level design not being built around Sonic's core identity. 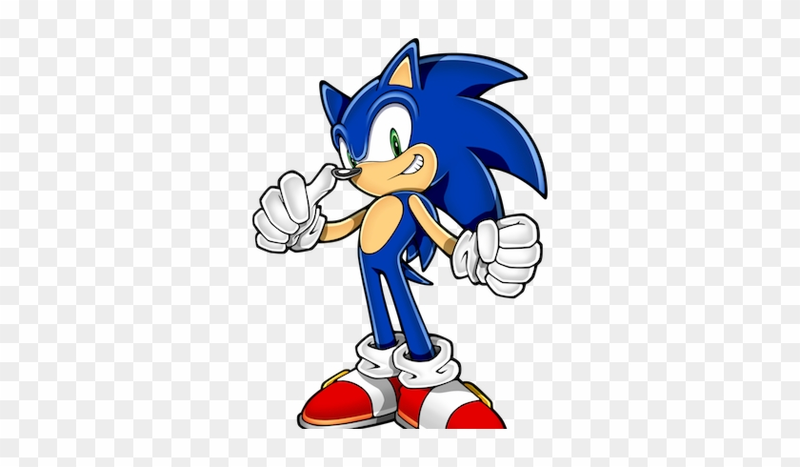 @EvilLucario if you look at the actual speed of Sonic in the game (using parts of the level as frame of reference), he’s considerably slowed down in most 3D games, especially the Adventure titles. (Try playing them and measuring out some distances then seeing how quickly he goes across them to see what I mean.) Sure, he’s moving through the stages much faster than Mario, but there is a huge difference in speed for him. The 3D ones he moves faster tend to be the ones with the camera fixed behind him at all times. Unleashed was honestly one of the best 3D titles at maintaining the speed... except more than 2/3 of the game is the Werehog stages, and then the Day stages end up being ruined by being forced to slow down to collect coins. I imagine the reason there is that, quite simply, when you DO manage to have Sonic move at the faster speeds (one’s comparable to the 2D games), a lot of stage has to be modeled only to be seen for seconds, making it expensive and time consuming... leading to, as you note, padding. Perhaps I should’ve worded it that part of the reason it doesn’t translate well is it becomes expensive to make a game of reasonable length when you do manage to have the character move at speeds similar to the 2D ones, and they have to fill it with other stuff to not make it a money sink. Especially given the expectations for a AAA game nowadays. Even the Adventure games, which as I noted have Sonic moving at a much slower speed than most of his 2D titles, when they have levels where the focus is moving quickly... well, let’s take Final Rush as an example. The stage has essentially three types of areas: 1) areas with a lot of stuff that ultimately loop the player around a lot, reusing the space to give the appearance of speed without having to cover much ground, 2) areas that are longer and sparse in scenery, often with one or two grind rails to jump back and forth with and an enemy every so often, and 3) areas where Sonic is forced to slow down, whether to climb some vertical sections or deal with other obstacles. All of this is done because making a 3D level that a character zooms through, when done well, is a lot of resources. The more effort they put into those stages, the less game they can afford to make with them, requiring more padding. And sure, they could’ve cut the other characters and just had the Sonic/Shadow stages, but the length of the game would end up being too short that people wouldn’t wanna pay $50+ for it despite the budget being equal to other full retail titles, that or they’d have to compromise quality more. So to make 3D games that capture the feeling of speed with Sonic and do it well and focus entirely on that gameplay? It’s not a very realistic request. Better to let the 2D titles focus on higher speeds. 3D doesn’t have to be all slow exploration, but it’s reasonable to have different expectations there because it’s much more expensive to produce a 3D game the player rushes through than a 2D one. And the cap speed does have to be lower because of how 3D information is processed. Adding an extra dimension adds a layer of complexity that can make a high speed game less approachable for new players (unless you give them less obstacles or spread them out more). Which is why some stick the camera behind Sonic at a fixed angle, letting players just focus on what’s in front of them. And that works but it’s not necessarily the best solution. Heck, camera becomes one of the biggest difficulties in a faster 3D game, either you fix the camera angle (which comes with a bunch of limitations) or let it move (which can make it an obstacle for the player). I'd definetly be down for a Sonic Adventure remake. The big problem wth 3D Sonic games though has always been the controls. I'd like to see a 3D sonic game where Sonic runs either automatically or by pressing down a button to accelerate him, and you only need to use left and right control without having to hold up to steer him. Continually holding up while moving left and right has made controlling him in 3D quit difficult. I reckon that would make straight up 3D sections a lot easier. @ShadJV Now at that point you're arguing cost effectiveness with how much assets used versus actually seen, which is a totally separate issue but a valid problem inherent to 3D Sonic. But it has barely much to do with the speed compared to the 2D games, where using the Spin Dash (moreso Adventure 1 than 2, but still extremely powerful) and Rocket Accel (in Heroes) both propel you forward insanely quickly. That said, 3D games in general across the board are also going to be slower than 2D gameplay, and that's going to remain a constant. Mario is slower in 3D (even in 3D Land/World which is basically 2D Mario literally translated to 3D), Metroid is slower in 3D, Zelda is FAR slower in 3D, Donkey Kong is obnoxiously slower in 3D, etc. You can't avoid that. But Sonic closes that speed difference a lot closer than most, especially when you fully use the Spin Dash/Rocket Accel to its full potential. Stages like Ice Cap and Windy Valley from Adventure 1 and Metal Harbor and Green Forest from Adventure 2 fit a similar speed bill pretty well when you use Sonic's kit. And even then broadening the level for exploration isn't a bad idea to make 3D Sonic better inherently instead of just as a way to get around limitations. Mania did the exact same thing and CD was also built to emphasize exploring the level. Other things like LODs are literally what the Hedgehog Engine was built for to manage quick loading of areas, and not going quite as fast as Unleashed drastically helps with that already. Camera does need work, but isn't quite relevant to Sonic's speed in 3D. Mario didn't quite perfect the camera before Galaxy, for example. Adventures 1 & 2 really, really need the remake treatment. They aged so terribly that I have no idea why I even liked them in the early Gamecube days. Glitchy gameplay and environments with hilariously bad voice acting and animations. Big the Cats stages is a perfect example. He only has four stages in the entire game, but because of the buggy and frustrating fishing controls, it can take 30 minutes to over an hour just to finish one level. The second game is a lot better and doesn't have as many problems as the first, it just isn't as enjoyable as it once was. So many amazing memories playing Sonic Adventure 2. Must have spent around 100 hours training up those Chao's. Could never get on with it on the Dreamcast and I never felt that Sega ever really captured what they wanted the sonic character to be so it lacked any strong foundations. In the end too many of the Sonic games ended up effectively playing themselves with the player just pushing one direction and again Sega never got round that issue. They should remake Sonic Adventure 2, except have it as one long 6-hour segment of sonic snowboarding through the streets of San Francisco with ‘Escaoe from the City’ by Ted Poley on constant loop. Just read that article over new years. If done right, I'd be down. I'm still a bit doubtful of the current team Sonic's abilities. Sonic forces was the epitome of short, playsitself, gameplay I don't like about the series. I can embrace the 90's buttrock, bad puns and ignore the weird community. But I need some game that's actually worth playing. If this can give me that, I'm down. Sonic Adventure was one of the first games I ever played and I love it, even up to today, despite the fact it's so... Bad actually. And for quite some time I've wanted to see the game remastered, because it was really a good game, the levels, the story, the song, the gameplay, they were all fantastic! I would legitimately pay $20 for the game if all that would happen would be better graphics and less bugs, and maybe better voice acting. Dreamcast in the UK had a amazing launch I bought this, Sega rally 2,Virtual Fighter 3 and House of the dead 2. compared to the one game i bought on launch on switch. Soulcaliber came a few months later too. I even bought that fishing game. If they remake this it would be cool as it seems like adventure 3 is a pipe dream at the moment. Despite the fact I only got one switch game at launch i now have six and that is not including games i have traded in or e shop indies i bought. A remake makes more sense than a remaster because they should be fixing the engine and camera more than the assets. I'll buy it if it's totally remade, had lots of fun with it on GameCube but the camera is, along with Epic Mickey, the worst 3D camera ever made. I... Don't like the idea. Mostly because while there are worse 3D Sonic games, Adventure 1 is the biggest demonstration of why 3D Sonic games keep failing - their insistence on shoehorning in random extra gameplay styles no one seems to actually enjoy instead of just focusing on the platforming. Like for real, think about how much better Unleashed would be received if not for the Werehog or Forces if not for the OC shooter stuff. Even Sonic 2006 as bad as it is probably wouldn't be quite as infamous without Silver's terrible everything. One of my favourite games ever! As much as I'd like a remake, I don't think we can trust Sega not too f it up. Heck, you only have to look at the ports of SA1 over the years. Every single one has been worse than the previous, including DX. If they can't even handle a port, they certainly can't handle a full remake. I really enjoyed Sonic Adventure 1 & 2 as well as heroes, played them on Gamecube, not the Dreamcast. Did notice with SA 1 you're constantly retreading the same levels most of the time but just with different characters. Guess they are really rough around the edges but I just can't help but enjoy them. However, they're far too buggy to go for "All A Ranks", that's incredibly frustrating and not the players fault. @Lizuka The OC is fine, as he pretty much plays like Sonic except for having a weapon instead of boosting. The problem was Classic Sonic, who not only was useless in this game's plot, but also played badly with bad controls and super basic level design. If they didn't bother shoehorning Classic Sonic, then maybe Forces would've turned out better, simply because there would be more Sonic/OC gameplay, possibly also having longer levels..
Sega: Hanging on the edge of tomorrow from the works of yesterday. Loved Sonic Adventure on the Dreamcast, but would prefer a new SA game based on what worked in SA1 and SA2. Instead of remaking an old game, how about making a new one? @Bondi_Surfer Becuase people will hate that. They never agree on anything other than the sonic you-know-what. So sad that Sonic Adventure and Sonic Adventure 2 were the last great Sonic games. Sega really messed up. 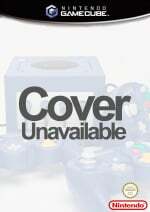 Nintendo on the other hand gave us Super Mario Sunshine, Super Mario Galaxy 1 & 2, Super Mario 3D World, and Super Mario Odyssey after Super Mario 64. These Sonic Adventure games aged like milk in the sun, people liked them when they were released, but I played them recently and I couldn't stand them. Also, I didn't play those, but I heard the Big the Cat levels were unbearable even in 1999. Why remake a terrible game when there are so many good Dreamcast games to port over? I don't like Sonic Adventure games, they are some of the worst Sonic games imo, I really hate them. I would like so much a Sonic Unleashed remake instead. That game was really good. But the best one is still Sonic 1 and it will always be the best one probably. It's sad to say, but the "Adventure" duology are still easily the best 3D Sonic games ever made, even with the lousy fishing levels and the mediocre and frustrating treasure hunting levels. It's a shame that 3D Sonic went downhill after that, first with mediocre to terrible gimmicks, then a couple incompetently developed 15th anniversary games, a couple motion-controlled auto-running disasters, and finally overhauling the gameplay into a much inferior style with 3D sections that use a lame boost gimmick instead of the spin dash and take away most of the platforming and exploration, while 2D sections and games (save "Sonic Mania") have terrible physics and horrible level designs. They finally brought back the excellent core Adventure-style gameplay for one game ("Lost World"), but that still has issues of its own with terrible boss fights and the usual issues with the 2D sections. Anyway, if you're going to remake it, make sure you do something about Big's fishing levels. You probably can't remove them completely without messing up the story, but PLEASE overhaul the gameplay for those parts. @LuckyLand Okay, you've officially lost all credibility as a Sonic fan. Even if you're not a fan of the "Adventure" duology, there's no way they can be considered worse than absolute stinkers like Sonic '06, Sonic GBA, and "Sonic Boom: Rise of Lyric." Meanwhile, everyone knows that "Sonic 2" and "Sonic 3 & Knuckles" (not to mention "Sonic Mania") are both clearly superior to "Sonic 1." @BulbasaurusRex Imo they are on the same level, not worse but not better either. I like a lot Sonic 1 (it is the best one imo) and Sonic 3&K, I like Sonic CD too, but Sonic 2 imo is really awful, another one of the worst Sonic games. PS: Sonic Mania is good, but Sonic 1 is even better for me. I wouldn't mind a remake. The major thing for me would have to be an overhaul of the fishing mechanic. Those stages always made my blood boil. I even said the other day that they could do Chao raising similar to playing with your partner Pokemon (as in petting it and feeding it directly). Maybe even do an overhaul similar to the Chao World Extended mod for Sonic Adventure 2. As for the original versions of the games going on the Switch, I'd get the second game right away and maybe the first later. For me, Adventure 2 has aged a bit better. If they decided to put Unleashed, Colors and Generations on there I'd probably go for them too. Still arguably the best Sonic game other than CD. We'll see what happens. Voice actors since Sonic Colors. @scottdevine48 Agreed, though the original Adventure had voice actors. Sonic Adventure remake will be released in 2019, Sonic Adventure 2 will be released in 2019 and Sonic Adventure 3 will be in the works. I think this is a wonderful idea. This was one of if not the one game I couldn’t stop playing as a kid, just don’t leave out the chao garden! Leave the characters the same as they were (we don’t need more sonic boom...). I’m overall excited over this idea!! I’m thinking Roger Craig Smith as Sonic in a Sonic Adventure Remake.